• The mobile phone is equipped with an AI camera function, with scene detection, camera learning, instant beauty and battery saving functions. It is innovative, embedding AI camera functions and AI smart dual cameras to provide consumers with greater satisfaction and experience. The product will offer a stunning surprise to consumers. • The 90% screen-to-body ratio highlights its colors and smart screen. • It is lightweight and compact, has elegant design and attractive appearance and sense of luxury. • The price is set at $400, and the price/performance ratio is good. It is attractive to men, women, young and old, multiethnic groups and has considerable market potential. ZenFone 5 is your intelligent companion that's always there for you. It takes perfect photos every time, whatever the subject, without you even having to think about it. 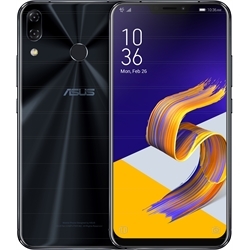 No matter the task, ZenFone 5 always delivers smooth and responsive performance, with the striking compact design and stunning looks making it a sheer joy to use.